Welcome to the December Newsletter. As the nights now draw in, and as time and attention tends towards peparations for the end of the year, the focus at Samye Dzong this month is very much on practice with relatively little teaching taking place. To find out about all the opportunities you have to gain some respite from the busyness that comes on during December...read on. Winter closure - definitely one for your diaries as we'd hate to see you turn up at the Centre only to be disappointed at finding the doors shut. The Centre will close its doors at 9.00 pm on Sunday 18th December and will not reopen until 2.00 pm on Wednesday 11th January 2017. Bodhisattva Charyavatara- Lama Zangmo will be giving teachings on The Way of the Bodhisattva one Saturday a month from 25th March to 16th December 2017. If you are interested in this course, feel free to put these dates in your diary now. 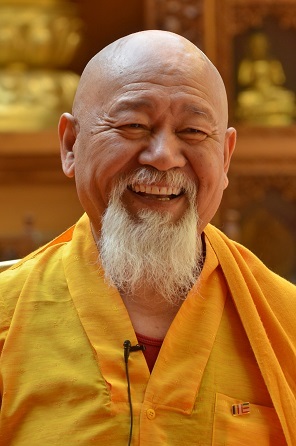 Choje Lama Yeshe Losal Rinpoche will be visiting the Centre twice over the coming months: he will be joining us for part of the Guru Rinpoche Drupcho (15th-19th March), while his annual weekend of teaching with us will take place from Friday 7th - Sunday 9th July. The title and programme have yet to be decided on. Just This Day - is a regular service at St Martin in the Fields. Lama Zangmo was invited to take part in the 23rd November service and you can now see her address on YouTube. Embracing Death and Dying Day - after three years this event proved as popular as ever. Some of the photos that were taken on the day are now available to view online. Funeral of Christina Stenhouse Ramos-Gonzalez - on Monday 14th November the family and friends of Christina gathered in the downstairs Shrine Room at Samye Dzong London, with Christina's coffin in front of the Shrine that she'd helped to paint. It seemed very appropriate that the first funeral to take place here should be for somebody who was so closely connected to us - Christina was known to refer to the Centre as her "second home". The large attendance was an indication of the many positive connections she made in her life. Christina will be missed. There are plenty of opportunities for practice at the Centre this month. Details can be found below, while the schedule for each day can be found on the website page for each day. On Saturday 3rd and Sunday 18th December between 9.30-5.00 pm you are welcome to join the Sangha for a day of silent meditation practice. This is a chance to get together with fellow practitioners and gain greater depth in the experience of meditation. It is an ideal environment where those who would like to sit more than they currently do can be supported by the group endeavour of like-minded meditators. Green Tara Practice Day - on Sunday 4th December. Green Tara practice helps us overcome inner and outer obstacles, and especially the obstacles of our own fears and self-doubt. The day starts with our usual Sunday Green Tara puja from 8.00 - 9.00 am, but it is fine to arrive for the 9.00am start for those who are unable to come earlier. Prostrations Retreat Day - on Saturday 10th December we have a day dedicated to the first part of the Ngondro practice - prostrations. 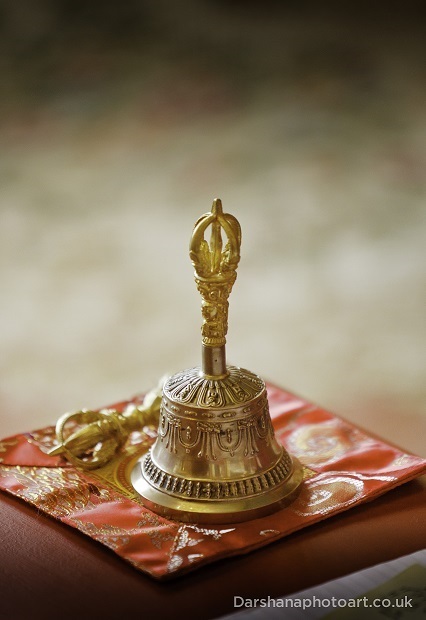 This day is suitable for anyone who has already started the Ngondro practice. Vajrasattva Retreat Day - on Sunday 11th December, 9.30-5.00, you can join the Sangha for a day dedicated to the recitation and accumulation of the hundred syllable mantra dedicated to the swift rebirth of our precious Founder, Choje Akong Tulku Rinpoche. This day is suitable for anyone who would like to join. We are pleased to be able to reproduce remarks by Khenpo Karthar Rinpoche, Abbot of Karma Triyana Dharmachakra (KTD) Monastery in Woodstock, New York, regarding Choje Lama Yeshe Losal Rinpoche. These remarks were made on 5th November during the first Thrangu Tsedrup conducted at KTD where Lama Rinpoche was a guest of Khenpo-la. 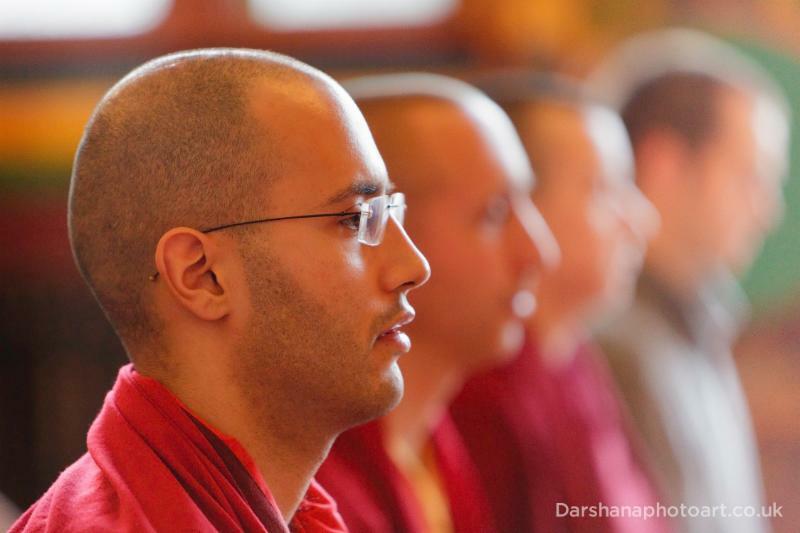 "I feel especially fortunate in having the opportunity to convene this Kagyu Tsedrup. But in particular I want to say how happy I am and how fortunate I feel that Lama Yeshe Losal was able to join us for this event this year. Lama Yeshe Losal was someone who was extremely very much loved and trusted by the 16th Gyalwang Karmapa. And therefore when KTD was first established, the Karmapa placed him here as an assistant or deputy to Lama Tenzin Choyni. And therefore, at that time, he was instrumental in the very founding and proper functioning, creation and maintenance of Karma Triyana Dharmachakra. During that period, Lama Yeshe Losal developed a sincere desire for freedom from samsara. Which caused him to request of the 16th Gyalwang Karmapa the vows of renunciation and completion. Accordingly, in the year 1980 on the 15th day of the month Vaisaka (Saka Dawa) he received all at once both the novitiate (the vow of renunciation) and the full ordination (the vow of completion) in the presence of His Holiness the 16th Gyalwang Karmapa, and an august assembly of great masters. Since that day and up to and including the present day, Lama Yeshe Losal's maintenance of his monastic discipline has been in all ways both flawless and exemplary, and before saying more, I want to thank him for that. You can read the full text in KTD Mandala News. Many people are familiar with the Hundred Thousand Songs of Milarepa. Lama Zangmo will go through some of the Dohas of Milarepa as well as other Lineage Masters. Green Tara practice helps us overcome inner and outer obstacles, and especially the obstacles of our own fears and self-doubt. This day of practice will be dedicated to the long life and activity of His Holiness 17th Karmapa. Join the Sangha for a day dedicated to the recitation and accumulation of the hundred syllable mantra dedicated to the swift rebirth of our precious Founder, Choje Akong Tulku Rinpoche. The Mindfulness Association's Insight Practitioner Certificate course is a training in deepening our recognition of psychological process. It is suitable for those who have completed the Mindfulness Association's Mindfulness Practitioner Certificate course (or Mindfulness One Year Training) and Compassion Practitioner Certificate. In "A Precious Garland" Gampopa gives precise instructions on the correct view, meditation and conductand succinctly outlines in 28 categories what we need to know at every stage of the path in order to perfect our spiritual practice. The Centre will close after the Chenrezig Puja on Sunday 18th December and will reopen on Wednesday 11th January 2017. We wish everybody a very happy holiday season.